A number of practical obstacles are preventing fleets from making use of alternatively fuelled vehicles (AFVs), despite increasing pressure from many quarters to increase uptake in the technology. 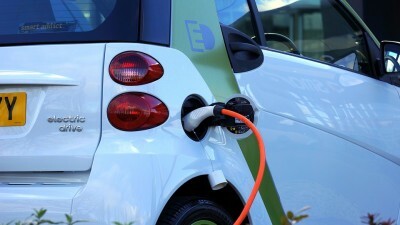 Multiple fears – including the higher price, limited range, longer charging times and uncertain residual values of the vehicles – have been cited by fleets as reasons for not purchasing more electric vehicles, according to a new survey by Sewells Research & Insights. The report found that petrol is currently making a comeback, and is out-performing diesel at the pumps. It’s believed by many that this is the result of both the emissions test cheating scandal and fears over the potential impact of nitrogen oxide emissions on air quality. In its Fleet Market Report 2016, Sewells found that fleets are ready to adopt alternatively-fuelled cars, but only in very small numbers for the time being. Companies expected the proportion of AFVs on their fleets to increase to 1.5 per cent by next year, 2.5 per cent in three years and 4.7 per cent within five years. Though these figures – if achieved – would represent a market increase of 213 per cent across five years, it’s clear that traditional vehicles would remain the priority for fleet managers. More than 95 per cent of company cars would still be diesel or petrol-based. Range issues were cited as the most common reason for fleet owners not taking on more AFVs, with recharging times and the lack of recharging points both highlighted a number of times. For 74 per cent of respondents to the survey, the higher acquisition price of AFVs was a continuing issue also. 70 per cent of fleet owners, meanwhile, were concerned about the residual value uncertainty of the vehicles. Companies as a whole believed that some of their drivers were open to the idea of AFVs, but with HMRC continuing to pursue its speedy increases in company car tax, it’s likely that many drivers will be faced with a tough choice between a higher tax bill and a vehicle that’s not fit for purpose. This is likely to become an even trickier issue over time, with local authorities beginning to introduce ‘clean air zones’ and imposing heftier charges or potentially even banning non-compliant vehicles in the more sensitive city centres.